I want to express how happy I am with the whole staff there. My father tells me that EVERYONE there is TERRIFIC! I am so glad that he is in a place that makes him happy. My MAGIC JACK phone service lately has been unstable & I assumed that the problem was on YOUR end. I’m sorry if I caused anybody any grief. I wrote previously that I had problems contacting my dad & I blamed your end for MY phone troubles. I beg for forgiveness & thank you for responding to my request so promptly. Thank you all for caring & being so compassionate with those you come in contact with. You guys are THE BEST! Recently I have begun to deal with my 83 year old father, whose health is declining. This is an entirely new world that I have been forced to explore and understand rather quickly. The staff at River’s Edge and Harmony Place have been so helpful to me in every way possible. They have answered every question with patience, knowledge, and kindness that I would never have expected from strangers. I originally brought my father to River’s Edge because I knew a staff member there. I believed that would help ease his transition into the facility. I did not realize that just because I knew someone made absolutely no difference in the care my father received. I found out by talking to other patients and family members that everyone there is cared for the same way. I discovered that DePaul has a standard of excellence that most people don’t realize exists. When a housekeeping staff member can look at me and say “How is your dad doing today?” I believe that speaks volumes. After my father finished his therapy I transferred him to Harmony Place with the hopes of bringing my mother to live there also. Unfortunately, as well as he was treated at Harmony, it was not the right place for him. Although I cannot say enough about the staff there either. The DON answered every question, every phone call, and took time from her day to visit my father. 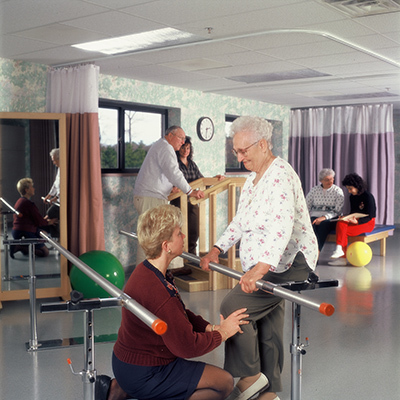 Personal service seems to thrive at your facilities. That is a reputation hard won and too easily lost. If ever there is a time when I am in need of services such as you provide, I have already told my own children do not ever hesitate to place me in either River’s Edge or Harmony Place. I thank you for all that you have done for my father and for me in a difficult time. I would also thank all the staff at both facilities for their time and patience with an old man and his son. 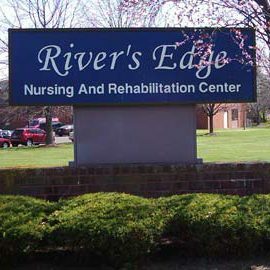 Words cannot express how grateful my husband and I are for the excellent care and remarkable rehabilitation that he received during his stay at River’s Edge. On May 2nd, 2008 my husband underwent over 8 hours of brain surgery for an aneurism. During the surgery he suffered a heart attack, aspiration pneumonia, blood clots, and a major stroke that paralyzed the left side of his body (arm and leg). After being in the intensive care unit for 2 weeks he was released to a rehabilitation center. After being at there for less than 3 weeks I received a call on my cell phone from someone on their staff when I was driving my granddaughter home during a rain storm. 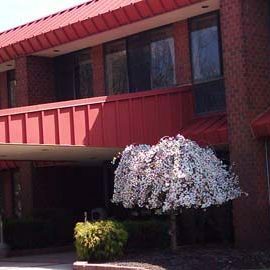 I was told that I had to make arrangements to place my husband in a nursing home since he would need 24/7 care and there was nothing more that they could do for him there. He is only 69 years old, the stroke fortunately did not effect his mind and his is not incontinent. When hearing those words I almost had an accident with my granddaughter in the car. I was determined not to place my husband in a nursing home where he could not receive the rehabilitation care that he needed. I asked about the Angela Jane Rehab facility and I was fortunate that they had a bed for him. When he was admitted to Angela Jane they worked with him and progress was evident. Unfortunately due to the Medicare standard of meeting certain criteria Angela Jane said they must discharge him. They said I could not care for him by myself. Through my prayers I was determined to acquire a facility that could offer him the rehabilitation that he needed to recover from the stroke. The River’s Edge staff has given my husband and I a second chance at life. 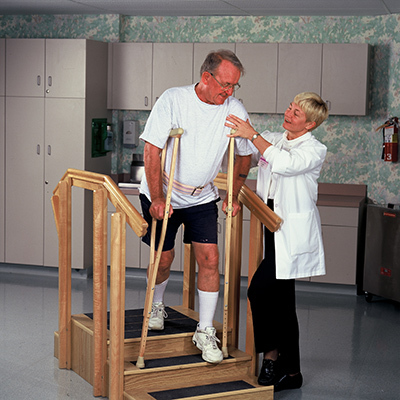 Another rehabilitation facility had informed me that he would probably never walk again. However, he was able to walk out of your River’s Edge facility, thanks to the wonderful rehabilitation staff and program you have there. I want to personally thank his Occupational Therapist who had faith in him and worked so hard to make it possible for him to walk again. I also want to thank everyone in Rehab, the 1st floor Nurses and Case Workers who helped so much in planning for his transition to come home, his attending physician, and acivities for making his stay so pleasurable. I just want to personally thank all of the staff for everything they have done for my husband, myself and our family!